Which Indian celebrity do you hate the most? Salman Khan. Hate that smug on his face as if he owns everyone Also, he is the biggest hypocrite. He is always giving big lectures to people on big boss but he is the biggest and has history in women physical abuse, druggie, murderer, terrorist supporter(contact with Dawood and underworld), alcoholic. And his charities tend to go in support of only one religion. I make a point of not watching his movies in theatre. Not paying a penny to this arrogant hypocrite terrorist sympathizer Salman. Can’t stand why people like him. no, two tests are certainly not enough to judge any player. Interference? Selectors get questions all the time. Wasn't everyone questioning Mayank Agarwal's selection issue and selectors had to say that he is in the queue. Don't think anyone was hell bent on moving Kohli out. So instead of appreciating performances of Badrinath, what does former selector comes up with? Badrinath was just CSK quota pick and pretended he didn't deserve a chance. Right now it being made case of nepotism which it isn't and Vengsarkar was not sacked for not backing him. He chose to let selector position go away for MCA position which was more valuable to him. Nathu is giving me vibes of Munaf Patel. Hope he doesn't cut down on pace. He is still a young guy. Hope he works harder and gets stronger. 8 year old thread :) wow. Not many rated him. Rightfully he was kicked out. But there was no injustice to Kohli as Vengy suggested. He earned his selection through consistent domestic performance. He was found. He was discarded. End of story. Vengy unnecessarily is stirring sh*t.
Section 498A it is, being misused by Indian women to blackmail their husband & in-laws in false cases. I didn't know that Badrinath was having a good run back at the time. If Vengsarkar didn't do his job properly, don't know why he's crying in-front of the media for getting kicked out. Does he want to pit Kohli against Dhoni, if that is his true intentions then I'd say go for it. 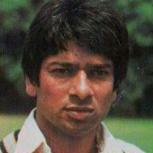 (Video) Qasim Omar b Kapil Dev in WCC 1985 finals flashed in front of my eyes today. Don't you know its because of the top class bowling attacks of PSL that batsman often struggle to get going. http://cricbuzz.com/cricket-scorecard/19377/krk-vs-qtg-19th-match-pakistan-super-league-2018 Now this is one of the most strange scorecards I have seen. Team chasing 180+ target, 8 wickets fell but not a single batsman has strike rate of well over 100. These guys fight with everyone . Can’t live peacefully with any community or religion . I support the claim of AP & its people for special status & their demand of more funds so that it can be used for benefit of local population. But I don't think the central government will give them what they want. These crooked politicians for their own selfish motives can betray anybody. Next year by this time, the Centre might prepare/release some plan considering upcoming general & assembly elections. How can you expect a smooth transition when this bifurcation was done hastily & the motive being winning elections instead of prosperity of millions in that area. Where did vengsarkar say Badrinath did not deserve the place. He just said kohli should be there in place of badrinath since he had vision for future unlike Shrinivasan who was more interested in picking his man and proved it by removing Vengsarkar. WTF has happened to my thread?! Good point made. Being a cricket forum, we need proper cricket discussion being presented here with facts & logic. The mods have to be proactive here & look at the thread what it has become. Unnecessary posts which add zero value to the thread has been continued by a few posters degrading the quality. infact bombed by the ICC using multi cameras and neutral umpires so that the bottle top operations( the basic ingredient) with in the factory are nullified to 0 effect. So Afghanistan, Malaysia and Indonesia all changed from Buddhism to Islam because the people living there were violent people and so karma came to bite them in the backside? Or is it because Islam is aggressive and Buddhism is passive? Christianity is dying in Europe because people are more educated and it’s pretty much dead in the Middle East due to Islamic fundamentalism. When is karma going to pay back the Islamic aggressors? Happy International Women's Day 2018 !!! To all the posters here in ICF !!! Has anyone here tried being a football fan, yet never found it interesting?